Alrighty, I shared about philosophies of education last week. Today, I’d like to introduce major methods of education. These are more commonly known or discussed (seriously, even at the park when homeschoolers gather) and they will more clearly direct curriculum choices. Traditional This is the most well known method and most popular in the public school system. It involves transfer of skills, facts, and information deemed important by the current generation to the student via reading by the student or lecture, as directed by the teacher. Textbooks, worksheets (online or paper), and tests are mainline. Teachers and/or textbooks are the instruments by which the knowledge is communicated. Also called Back-to-Basics, Conventional Education, or Customary Education. Curriculum that incorporates aspects of the traditional method: Sonlight, Tapestry of Grace, BiblioPlan, MathUSee, RightStart Math… and probably lots more. Almost anything that uses text books/workbooks. Focus on the atmosphere of learning, development of good habits, and “living” thoughts are representative. 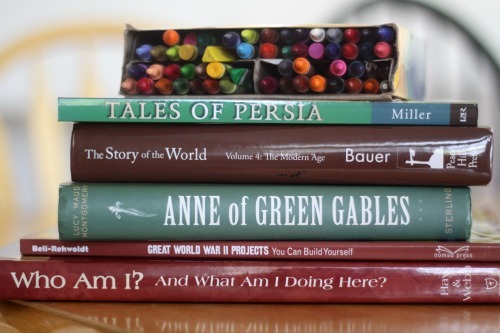 Narration, dictation, living books, nature study, art, and music are key aspects of the Charlotte Mason method. Classical This method has been around for centuries, though variations of it have developed over the years. It teaches subjects with consideration to three stages of development: grammar, logic, and rhetoric. Emphasis on excellence in subjects is a hallmark. Great books, Latin and Greek, logic, and primary sources are key elements as classical educators strive to help students become critical thinkers. The Socratic method is often used. Waldorf The Waldorf method focuses on three stages of development and the needs the child has in each, as studied by Rudolf Steiner in the early 1900s, as well as the three components of each individual: spirit, soul, and body. Key aspects are the development of an active imagination and a strong sense of self purpose. All subjects are taught artistically. These methods of education are not to be confused with methods of teaching. You can use many different methods of teaching under each method of education, though some education methods would rule out some teaching methods. For example: a debate between groups of students could be used by many of these methods as could mural painting. Here are 150 teaching methods to give you some ideas. Lastly, please know that I have worked hard to find as many curriculum as I can and placed them in the right category, but I may have erred. Please chime in not only for suggestions on other curriculum, but if you think a curric is better placed elsewhere. Part II is up now, so check it out! Have you heard of these educational methods? 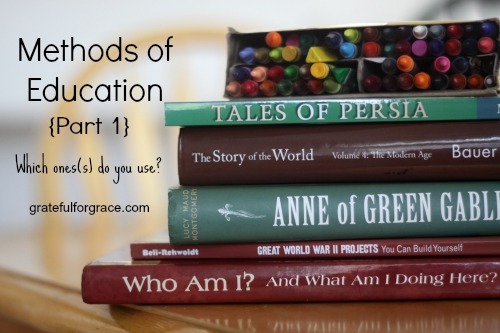 Which one(s) do you incorporate in your homeschool?